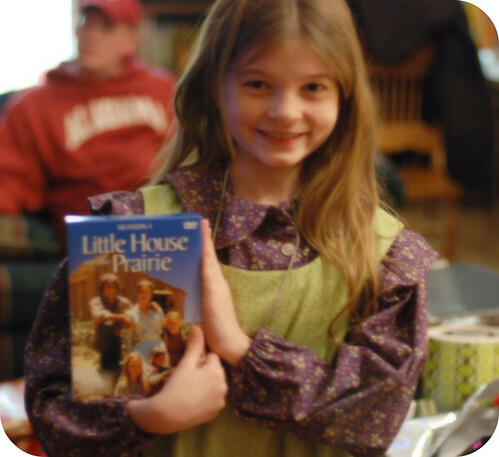 In addition to the dresses she also added the first season of Little House on the Prairie to go with them, what fun!!! So much better than a bunch of plastic toys! What a wonderful gift! 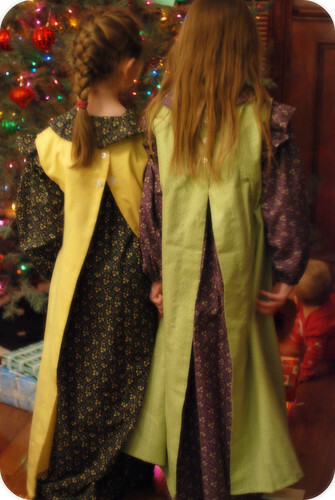 I would have LOVED that as a little girl, it looks as if your girls do too! Soooo beautiful! We asked both sets of grandparents to do the same but they found it too difficult. I meant to ask if your mom made you one as well TM? 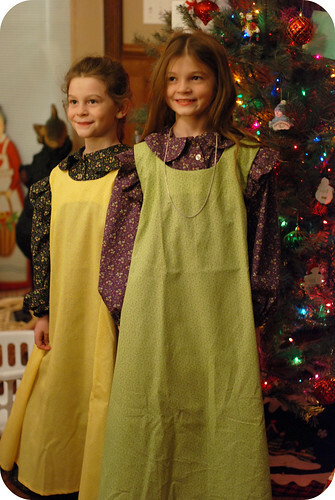 I would put on a pinafore like that over my skirt/top every day!